‘The community hated us and we hated them. It wasn’t a black thing. It wasn’t as complex as that. If you went out in uniform or plain clothes you could feel the hatred’. Detective Constable Declan Costello (3). ‘The officers involved in these atrocities can do this because they are not accountable to anybody. They cover up their crimes by picking on the weak – unemployed and uneducated people who do not have any knowledge of the law. There are no rights for black people, and if you are poor it’s worse; as far as the law is concerned you have no place in society. You are a dog; when they kick you, you move’. Hugh Prince, victim of Hackney police (4). Hackney is a borough in the North East of London which will be familiar to Datacide readers as the birthplace of both Industrial music (via Throbbing Gristle, based near London Fields) and Jungle (more contentiously via Shut Up and Dance, who grew up in Clapton). The background to the development of these two musical genres includes the cheap housing which attracted both bohemians and West Indian immigrants to the district from the 1950s onwards. It is easy to mythologise Hackney. I certainly used to. Reading fanzines like Vague in my home county’s bedroom in the 1980s conjured up vistas of squats and social centres inhabited by occultists, anarchists, artists and deviants – all of which was immensely attractive to a sheltered teenager. And whilst later I found there was some truth to my fantasies, the majority of the borough was of course composed of working class people living characteristically hard lives – the squats were only possible because of a crumbling infrastructure and a local council that was either indifferent or overstretched. Moving to North London revealed the murky underside of Hackney and the story of ordinary people attempting to resist it, which was far from glamorous but perhaps all the more inspiring because of that. Like a lot of inner city areas, Hackney residents had particular difficulties with the police. But what is interesting about this case is the scale of police wrongdoing, and the community’s responses to it. In November 1982 (5), Hackney Black People’s Association demanded an independent public enquiry into the conduct of the police in Hackney. Their concerns were specifically about corruption, and violence against black people (6). These concerns were widespread at the time but would soon intensify in a fairly horrible way. Colin Roach died of a gunshot wound he received in the foyer of Stoke Newington police station on the 12th of January, 1983. He was a 21-year-old black man. The precise time of death was never established, but it was between 11:30 and midnight. Colin’s father James arrived at the police station, looking for his son at 12:15 pm. The front doors were taped off as a crime scene, so he was taken to the rear of the station and lead to a room upstairs. Mr Roach was questioned until 2:45 am before the police revealed that his son was dead. James Roach was held at the station until 4:45 am and was not permitted to see Colin’s body. James Roach was then taken home by the police, who proceeded to search Colin’s bedroom. James’ wife Pamela, who had just been informed of her son’s death, was alarmed by the sound of Colin’s bedroom being turned upside down by cops and stood up from her chair, but was forced down again by a policewoman who gripped her around the neck (7). The officers left the Roach household having found nothing of significance and without offering apologies or condolences. The next morning the newspapers covered the suicide of a black man in Stoke Newington police station. The police press release was issued at 1:30 am – i.e. whilst James Roach was being questioned and an hour before he had been informed of his son’s death. The family and a Tower Hamlets councillor who they knew went to the police station to find out more – and were treated with suspicion and hostility. Colin’s friends organised a demonstration the next day. About 90 black and white youths gathered outside the police station with placards and asked for an explanation from the superintendent. This was refused. Some of the demonstrators then blocked the traffic on Stoke Newington High Street, which resulted in 50 police officers pouring out of the station and arresting eight people (8). Hackney Black People’s Association called a public meeting which was attended by 150 people. The Roach Family Support Committee (RFSC) was formed, and the meeting demanded an independent public enquiry into Colin Roach’s death (9). The RFSC organised further demonstrations which were also met with severe police reactions and arrests. Eighty people in total were arrested outside Stoke Newington police station during the six protests, including an elected councillor and Colin’s father, James. Three hundred people attended Colin Roach’s funeral. The campaign’s demand for an independent public enquiry was fobbed off by William Whitelaw, the Home Secretary, who initially said that the coroner’s inquest into the death would perform the same function, but then later admitted that its scope was much narrower. In May 1983, the inquest jury agreed 8-2 that Colin Roach had committed suicide. The jury also criticised the conduct of the police especially their dealings with the Roach family. This matter was referred to the Police Complaints Board (now replaced by the equally ineffective Independent Police Complaints Commission) who ruled that no officers would be disciplined. RFSC then set up its own Independent Committee of Inquiry examining the death of Colin Roach and the wider issue of policing in Hackney. including policing anti-fascism, previous police racism, etc. The Committee of Inquiry concluded that the inquest’s verdict of suicide was not actually proven and that there was evidence to suggest other explanations. For example, the weapon was never forensically linked to Colin Roach. He was not wearing gloves, but the gun did not have his fingerprints on, nor could it have been concealed in his bag (10). Two different police officers claimed to be the first to discover gun cartridges in Colin’s pockets (which again had no fingerprints on) (11). The report also called for organisations in Hackney to ‘break links’ with the police until a proper inquiry was held and the issues of discontent were resolved. The death of Colin Roach and the response to it overshadowed the community and the police throughout the rest of the century. ‘I got down to London and what did I see? Local councils controlled by the Labour Party were under attack throughout the eighties by the Conservative government (which systematically cut their funding) and the media (which derided them as ‘loony lefties’). But that would need another article in itself. Whilst few residents had a good word for the council at the time, hindsight has shown it to have launched a number of worthwhile initiatives that were more radical than the current administration could even dream of. In July 1982, Hackney Council set up a Police Committee. A Support Unit was also established which monitored crime and policing and published reports critical of police powers. In January 1983, Ernie Roberts, Hackney MP, made a statement on the public’s concern about the breakdown of community/police relations as well as his support for a public inquiry into the death of Colin Roach. The Greater London Council funded the Roach campaign to the tune of £1,500 shortly afterwards. There was outrage in the press at this use of public money to fund what they saw as ‘cash to fight the police’ and ‘fostering discontent among black people’ (13). Hackney Council then resolved to withhold its statutory annual contribution of £4 million to the Metropolitan Police. Which predictably generated more outrage in the press. A month later it was determined that this was not legal and so the contribution was actually paid (14). In 1984, Keith Newman, the Commissioner of the Metropolitan Police, was singling out Hackney as an area in which ‘extreme activists seek to represent practically any police intervention as harassment’. He gave the campaign for an independent public inquiry into the death of Colin Roach as an example of this. Anthony Kendall, the Leader of Hackney Council, attacked Newman for his ‘irrelevant and irresponsible political views’ which demonstrated ‘just how dangerously unaware he is of the real facts of life in areas like Hackney’ (15). By 1988, the Police Committee Support Unit was issuing documents denying that the council was anti-police, but pro-accountability. Hackney Council & The Police: Fact & Fiction began: ‘There is a myth going around that Hackney Council doesn’t believe in having a police force. The truth is that we are in favour of good policing and against bad policing’. This document was in turn denounced in parliament as trying to politicise the police (16). It couldn’t last. By 1990, the council’s publications on policing were very toned down (17) and at some point in that decade the Police Committee Support Unit was closed down. At the time of writing, Hackney Council is campaigning for more police in the borough (18). Hackney Teachers Association (a branch of the National Union of Teachers) had its own axe to grind with the police because of their role in the killing of Blair Peach. Peach was a teacher who lived in Hackney and was killed by the police during a protest against the National Front in Southall in 1979. (The killing was subject to a cover up, despite the probable culprits being exposed in the radical press) (19). Discussions about non-cooperation with the police began during the Justice For Blair Peach Campaign, but came to the fore after the death of Colin Roach. One third of Hackney schools ended up excluding the police from their premises in the 1980s. ‘There is nothing that especially qualifies the police more than any other group in society to teach five a side football, disco-dancing, road safety, law or even not to go with strangers. Alternative non-racist agencies exist in all these areas if schools want outsiders to develop these and other areas of the curriculum. The Police insistence that they be allowed to present to children these parts of the curriculum has an ulterior motive of control and intelligence gathering. The document also noted that it was a disciplinary offence at that time for teachers to make racist remarks or be discriminatory – but not for the Metropolitan Police. The police figured that if they were not allowed access to schools then they would invite school kids to a series of open days at the police station. Head teachers of local schools were asked along to Stoke Newington police station to discuss how to arrange the event. Hackney Teachers Association arranged a picket outside to try to persuade the head teachers not to attend the meeting. In the event only seven head teachers responded to the police invitation and only four were prepared to cross the picket line. So the boys in blue belatedly launched a public relations campaign. There is an amazing video of a BBC news report about this on YouTube (21). The footage includes the head teacher of Stoke Newington School making the point that he had been wary of the Police Out of School campaign, but had been convinced after consulting with teachers, parents, school governors and pupils. He mentions that when police came to the school to talk to the kids it created a very unpleasant atmosphere that didn’t solve anything. ‘If they were to come to the school it would all be pretence. They can come in and act benign and friendly and say “we’re your local copper on the beat” and give you a pat on the head. But the next time they see you on the street they can still catch you and have the same hostile reaction to you’. ‘What has happened in the past is behind us – we must look to the future’. ‘Denial and discos’ did not prove to be a successful tactic in improving community relations. Even the best marketing campaign would not be able to mask the level of ongoing police violence. On January 1st 1987, a young black man, Trevor Monerville, was arrested and held incommunicado in Stoke Newington police station. On January 8th he had emergency surgery to remove a blood clot from the surface of the brain. The Family and Friends of Trevor Monerville was set up to campaign for justice for Trevor (22). 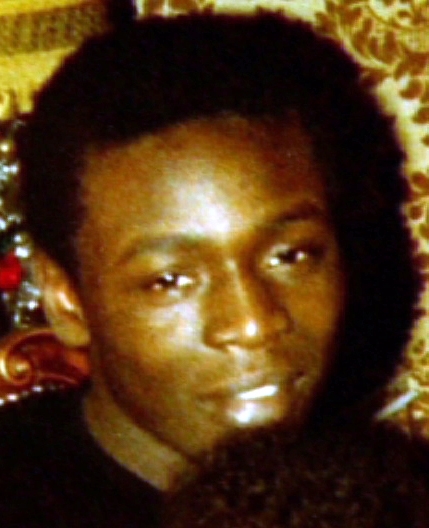 On June 25th 1987, Tunay Hassan died in custody at Dalston police station. His family and friends set up the Justice for Tunay Campaign (23). The Trevor Monerville and Justice for Tunay campaigns along with Hackney Anti-Fascist Action and others, joined together in 1988 to form Hackney Community Defence Association (HCDA) (24). _Legal assistance, taking witness statements, getting cases thrown out of court, compensation. _Encouraging victims to help each other, and get involved in future HCDA activity. _Organising annual memorial event for people who had died in police custody. _Building up a database of corrupt cops. (Which meant that defence counsel sometimes knew more about the police in the dock than the prosecution). _Publishing newsletters and other documents, some of which named officers accused of misdeeds. Whilst most of the recorded police violence and false arrests involved black people, nobody who annoyed the police was safe. Officers from City Road police station raided an anti-poll tax benefit at Chats Palace in 1991 and arrested 19 people (25). With almost unbelievable chutzpah, Stoke Newington police arrested one group of squatters on the entirely false grounds that they had racially abused a black man at a bus stop (26). A journalist who called 999 after being threatened with a pick axe was arrested on trumped up charges when the police thought he had written critical articles for The Guardian (he hadn’t, but shared a name with someone who had) (27). The first recorded incident of police violence against a defence solicitor took place in Stoke Newington police station during this era (28). Perhaps most shockingly of all, police incompetence lead to 19-year-old Vandana Patel being fatally stabbed by her husband in the domestic violence unit of Stoke Newington police station (29). Five hundred thousand pounds ended up being paid out to victims of police crime in Stoke Newington because of HCDA (30, 31). By 1991, the organisation had received over 300 allegations of police brutality and planting evidence. It was able to take up 130 of these cases. A lot of the cases involved the police violently attacking members of the public and then covering this up by charging them with assaulting the police. On February 7th 1992, a HCDA press conference named 30 police officers accused of police malpractice since January 1989 and called for a judicial inquiry into the police (32). Other organisations had also noticed this. The glass may have been an architect’s idea of promoting ‘transparency’, but this did not go down well with users of the building. Soon afterwards much of the glass was covered with opaque film, the rumour at the time being that local people did not want to be seen to be talking to the cops. It would take more than architecture to design out the endemic corruption and violence in the station. Unbeknownst to HCDA, Stoke Newington police had got so out of control that they were also being investigated by Scotland Yard. From 1990 onwards, U.K. customs officers had been investigating a massive VAT-fraud concerning fruit machines in North London. Often when they raided suspect premises it looked like the owners had been tipped off and removed the evidence. Like HCDA, the customs officers also heard rumours of impounded drugs being ‘recycled’ at Stoke Newington police station (34). Specifically a dealer called Pearl Cameron was being supplied with confiscated drugs and tip offs by a policeman named Roy Lewandowksi. She alleged that in return she was paying him £1,000 a week or more. ‘I used to sit opposite DC Lewandowski and he used to produce great wads of money and count it in front of me. On 28 January 1992, eight officers were transferred out of Stoke Newington police station pending investigation by Jackpot for theft, assault or perjury. On the same day PC Gerry Carroll (who was also implicated) committed suicide. Senior Yard officers were criticised by MPs for attending his funeral. One of PC Carroll’s victims only had the courage to come forward about having been fitted up after he heard he had died. He later won substantial compensation. Despite (or because of?) all the coverage of accusations against Stoke Newington cops in the media, serving policemen were still forthright in their condemnation of HCDA as unrepresentative ‘extremists’ as late as December 1993 (37). The outcome of Operation Jackpot was undramatic. In July 1994, eight officers were disciplined (a slap on the wrist?). Two were tried for perjury and conspiracy to pervert the course of justice. And acquitted. HCDA called Operation Jackpot an ‘insult to the community’ and stated that 77 cases it was aware of had not been investigated. Whilst Hackney police may have been under greater scrutiny, their violence continued. On 16 December 1994, Oluwashijibomi ‘Shiji’ Lapite was killed in the back of a police van by two officers from Stoke Newington. An inquest concluded that Shiji had been ‘unlawfully killed’ (38), but neither of the officers was prosecuted (39). Hackney Community Defence Association and other local activists and trade unionists opened the Colin Roach Centre in 1993, a decade after Colin’s death. The Centre would prove to be an invaluable base for all sorts of radical community activity. Complaints about the police continued – 57 were logged by HCDA in 1993. The group also set up a database of corrupt cops. When Police Review suggested the database was being run by ‘organised criminals’, HCDA successfully sued the magazine. Rather than being rewarded for their incredible tenacity and sense of civic duty, HCDA’s painstaking work was repaid in harassment – both overt and covert. The group received a number of anonymous threatening telephone calls and their main contact regularly found a police car parked outside his house (40). In December 1994, the night before a demonstration outside Stoke Newington police station about the death of Shiji Lapite, HCDA’s offices were broken into. A computer was stolen (not the one used for the corrupt cop database, which was sensibly kept elsewhere), office material was urinated on and graffitied. But no cash was stolen. In early 1995, a man called Mark Cassidy started to get involved with the Colin Roach Centre, HCDA, Anti-Fascist Action and other political groups. His real name was Mark Jenner and he was an undercover police officer. He disappeared suddenly in the year 2000. His identity was later uncovered by the girlfriend he had fraudulently started a relationship with as part of his cover – she had also been involved with the Colin Roach Centre (41). Five Stoke Newington policemen tried to sue The Guardian for libel with assistance from the Police Federation. Relating to an article published in the critical year of 1992, the case dragged on until 1997. The police lost. Days after the judgement, former Stoke Newington PC Ronald Palumbo was sentenced to ten years for drug smuggling (42). Also in 1997, PC Paul Evans was finally jailed for 6 months for assaulting a young man after the Hackney Homeless Festival in Clissold Park in May 1994 (43). Deaths of people held at Stoke Newington police station have continued. Sarah Thomas died in hospital two days after collapsing in the station in 1999 (44). Kwame Wiredu died in the station in 2002 (45). There are pros and cons to the proliferation of technologies such as CCTV and camera phones, but they can reduce the scope for indiscriminate police violence. Schoolboy Anop Singh was put in a bin by a policeman in Clissold Park in 2005 and eventually received £4,000 in compensation purely because his friend had filmed the incident on his phone (46). Twenty years ago he may well have been violently assaulted and falsely charged. But despite these incidents, my impression is that, apart from the shooting of Harry Stanley in 1999 (48), police violence and corruption in Hackney has now reduced to more usual levels. High profile scandals such as the investigation into the role the police played in the Hillsborough disaster, the death of Ian Tomlinson and ‘plebgate’ (in which the police were found to have fabricated evidence against a Member of Parliament) mean that people who criticise the cops are no longer routinely dismissed as being paranoid extremists. Indeed, in the last week the police have had to confess that their Special Demonstration Squad spied on (and presumably infiltrated) 18 family/justice campaigns between 1970 and 2005 (49). Details of this are still emerging, but it is entirely plausible that police spied on the Roach Family Support Committee and others mentioned in this article. (It has already been established that the Justice for Harry Stanley campaign was spied on). I have no doubt that the justice campaigns and activist groups mentioned above have played a significant role in making Hackney a safer place to live. Those of us who live here now owe a debt to the many people who put themselves at risk in the 80s and 90s. On an individual level, a small group like HCDA can make a huge difference to people’s lives. Community police monitoring can prevent people going to prison, or get them well deserved compensation, or just stop them feeling isolated and hopeless. I am writing to thank you all for the help and support given to my parents, Mr and Mrs Burke. The pain and humiliation they suffered is impossible to put into words. At the time, they were over 70 years old, they were terrorised in their own home, dragged onto the street, assaulted in full view of the neighbours and then carted off to the police station in their nightclothes. Then there was the stress of the civil action. During the trial the police tried to make out that my parents were some sort of political activists trying to stir up trouble with HCDA always in the background, telling them what to do. HCDA gave us good advice, helped us deal with our solicitors, and gave us moral and practical support. My parents did not need encour- aging or influencing; they wanted justice and compensation in court for their injuries and punishment for the police offi- cers that had assaulted them. Nothing has happened to the officers that were involved, they are still working in the same way, doing God only knows what to innocent people. We have to get on with the rest of our lives; all we have left is a bitter taste in our mouths. 1 These lyrics from ‘Police Story’ by Black Flag (from their debut LP Damaged, 1981) echo the quote below. 2 Originally given as a talk on 7th May 2014 to a meeting of the Radical History Network of North London (RAHN). http://radicalhistorynetwork.blogspot.co.uk/2014/06/report-of-rahn-meeting- 7th-may-2014.html – I hadn’t done a talk for ages and so ended up rabbiting on too much. The other speakers (Kevin Blowe of Newham Monitoring Project and Dave Morris, formerly of the much infiltrated London Greenpeace) were better, as was the discussion afterwards. 3 Gillard, M. and Flynn, L. (2012) p195. 6 This article will mainly focus on police violence and racism in Hackney. There is a risk of isolating the very worst behaviour of the police (for example deaths in custody) and missing the wider picture – or of being accused of being an ‘extremist’. I don’t think it’s particularly controversial to say that the cops in Hackney in the 1980s and 1990s had a terrible reputation, and that this was well deserved. Even setting aside radical critiques of the role of the police in a capitalist society, they were rubbish even on their own terms during this period. In 1982, the police’s clear up rate for crime in Hackney was just 12%, compared to 19.6% in neighbouring Islington, or the 16% average across London as a whole. (Cited in Hackney Council’s Police Committee Support Unit pamphlet Policing Hackney, Spring 1984). 7 Two years later, the police’s similar manhandling of Tottenham resident Cynthia Jarrett during a search of her home would cause her death and spark the riots on the Broadwater Farm estate. 8 A similar demonstration was held outside Tottenham police station the day after Mark Duggan had been shot by police officers in 2011. The police’s mishandling of the situation lead directly to some of the most intense and wide spread rioting ever seen in the U.K.
9 Prior to this, independent public enquiries had taken place into policing matters relating to the death of Kevin Gately at an anti-fascist demonstration in Red Lion Square in 1974 and the Brixton riots of 1981. Subsequent public enquiries have taken place into the deaths of 96 football fans at Hillsborough football stadium in 1989, the death of Azelle Rodney (shot by police in 2005), the death of Charles De Menezes (also shot by police in 2005) and the 2011 UK riots. 12 See http://hackneyhistory.wordpress.com/2014/05/18/deaths-in-custody-songs- for-colin-roach/ for YouTube links. 14 It is conceivable that it was actually known that the fee would have to be paid and that this amounted to political posturing. Having said that, it is still very re- vealing that this sort of posturing was seen as politically expedient. 15 Police Committee Support Unit newsletter Policing Hackney, Spring 1984, p1. 17 Hackney’s Police: A User’s Guide is the sort of boringly municipal document you would expect a local government publication to be. The final section on what to do if you are attacked concludes with suggestions of action to take ‘if your complaint is against a member of the public’, or ‘if your complaint is against the police’ though. 22 Gillard, M. and Flynn, L. (2012) p193. 29 Gregory J. and Lees, S. (1999) Policing Sexual Assault London: Routledge, p221. 30 Gillard, M. and Flynn, L. (2012) p222. 33 Text from a poster for the 1989 event “A State Of Fear: Fighting Police Violence in Hackney” organised by HCDA. 40 Gillard, M. and Flynn, L. (2012) p219. Either this feral black male became out of control or he grabbed an officer’s gun and shot himself. Hell, he may have used his own gun. It’s known all over the world that blacks absolutely guns.